A promotional video for your Android app on the Google Play Store helps users learn more about your app and can increase your app’s conversion rate. In this guide we give you all the information you need to know to produce a great Android video and measure its impact on installs through testing. What Google calls a promo video is a YouTube video that can be shown on the Google Play Store. 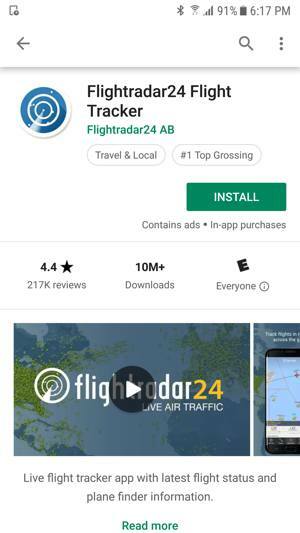 Promotional videos are currently displayed for some brand searches and more importantly can be played from the app’s Play Store listing by tapping on the play button overlaid on the feature graphic. Why should you care about app store videos? A video is the perfect way to put your app in its best light, show users why they need it and already familiarize them with the user experience. A well-thought-out app store video should lead to an increase in conversion rate on the Play Store and help you get more higher engagement from users post-install. The goal is therefore essentially the same as an iOS App Store Preview video. So how do professional promotional videos for the Google Play Store look like? It totally depends! Because Google offers total creative flexibility, these app store videos can be done in motion graphics design, stop motion, live action or really any other style of video (or combination of styles). What’s important is to convey the added value of the app quickly and make a compelling video that will both get visitors to download the app and keep it after it’s installed. You can of course watch examples of promo videos by going to the Google Play Store with your Android device and looking around. You can also browse on desktop, however some videos are not displayed that way. Find more examples of Android videos here. Does video help get more downloads? Having a video for your Android app can help you get more download, if it is done the right way. Storemaven’s data shows that a good video can potentially lift conversion rate by 40% (source here). There are several examples of app videos being better than screenshots. One of the main reasons is that video shows the app in context and/or action and therefore go beyond static images: potential users can really imagine themselves using the app. According to the intelligence tool Mobile Action, 36% of the Overall Top 50 free apps had a promotional video. One category where app videos are used a lot is the games category. Because here too, it helps see what the game is really about. And as it turns out, apps in the Games/Arcade category that have a video have almost 3 times the number of estimated daily downloads. Not bad! This is something we find as well in the Weather category for example. To create an app promo video that performs on the Google Play Store (or anywhere else! ), you first want to understand clearly where and how it is displayed to Android users on the store. The way a mobile app video is displayed and even the videos themselves are quite different on the Google Play Store and the iOS App Store. On the Play Store, you can have only one video. There is a play button on top of the “feature graphic” (which is now within the Gallery) that users have to tap to watch the video. On the iOS App Store, you can have up to 3 videos and they autoplay in mute. On the Play Store your video should be a landscape video (it’s a YouTube video). On the Apple App Store the orientation of your video can vary. Google gives you complete creative freedom when it comes to creating your app promo video. However, before featuring an app Google makes sure that the promotional video for the app only shows Android devices. So when creating your app video make sure that you do not display any iPhone or Mac computers. The same way, display only the Google Play Store download badge at the end of the video (not the App Store, Amazon AppStore or any other store’s badge). Following these 2 simple rules prevents you from having to do a last minute change on your video! Google recommends to keep the promotional video you use on the Play Store between 30 seconds and 2 minutes. This is something you can test but we would even advise to keep it between 30 and 50 seconds. Unlike a TV ad, users can stop watching your video on the Play Store anytime. This is why you want to get straight to the point and show the most important benefit first. Unless your brand is well-known or your app/game uses a famous IP, there is no need to show a logo or icon at the beginning: it is already in your app details page. If you do show it, keep it extra short. Storemaven estimates that an average of 10% of viewers drop every 5 seconds (you can see that in your YouTube Analytics and compare – see the end of the guide). You have creative freedom. This doesn’t mean you should forget where people watch this app video: on their mobile devices. The video might be displayed on desktop but views of Android videos on desktop are very often below 1%. Use copy large enough so it can be read on small screens. A good test is to always look at your app video on a rather small device when reviewing it. Play Store videos are YouTube videos, but the situation in which users see them might be very different from YouTube videos. On YouTube, users are most likely already watching videos with sound on. So sound for ads and any other videos is very important. On the Play Store your potential users might be checking your app somewhere public and/or with their device on mute or low volume. So make sure that the message is clear without sound. Short and easy to read captions can go a long way here! Subtitles are also an alternative, especially if you localize your promo video. On the Google Play Store you have the possibility to localize your videos: when in a specific language, you can fill in a different YouTube video link. This is a best practice, especially if your target audience is important in other countries. At the very least, what you can do is use subtitles/captions in YouTube so that even though the video is displayed in English users get some information in their own language too. In some cases, it might make sense to go beyond just translating and showing the localized UI. If a market is important for your app and there are significant cultural differences, then you might want to adapt the promo video or create a new one that has a better cultural fit. The user is already considering downloading your app, so now that you have the viewer excited, make sure you explicitly remind them to actually download it at the end of your video. The feature graphic used to be at the top of every Google Play Store listing. With the Play Store redesign it is now displayed before the screenshots if you have a video, making it one of the most important visual asset. It can also be displayed in other places on the Google Play Store as well: brand search, ads, and recommended section for example. There are a few rules to optimize your Google Play Store listing and there are best practices for feature graphics too: any copy/text should be large enough (but not by the borders! ), the play button should integrate nicely and not cover anything important, you should localize it, etc. So how to make a professional promo videos for Android? It would be too long to describe each little step, but below are the most important ones, along with some visuals from one of the projects we’ve worked on with Vivino. This a video that increased conversion on the Google Play Store by 15% (here is the case study, which also goes into how the video was cut into separate video ads – one for each use case). We try the app, take a look at the different marketing assets (website, play store page, general communication, etc.) and discuss with the client to get a better understanding of what’s important to highlight. If you produce the video internally, those are discussions you can have within your team only: the idea is to plan for a video that is in line with your branding and tone. We then put together a script or synopsis: a high-level script/scenario for the promo video. In case it is established that a voice over adds value, we put a first script down for this as well. It’s very important to take the time to define this high-level view: you can make sure that the message is right, and it helps you get a better sense of the timing of the video. Plus, at this stage, modifications are just text edits and therefore not costly…So share it with the relevant persons on your team! Of course we also add a few sentences about our approach and why we make certain choices, usually referring back to the general tips given in the section above. Your app might be used in a specific context/use case. This and its benefits are a good starting point . There is a small introduction (#1 in the synopsis), but we made sure the app would be shown within the first 5 seconds. Because that “vintage” design style was used in some of their online marketing (see #1), we thought he would be interesting to explore. After confirming, we sent them visuals for each of the main scenes. In this specific case we “recreated” the UI (vs. screen recording) in order to keep the style consistent, so we also sent a few examples of how this would look. Not the most exciting part but a very important one: at this step we define things like the music, the voice over talent, but also exactly what will be shown from the app (which screens, what data – like which wine to scan, which order, etc.). With the designs part, this is when things really come to life and the initial planning really pays off! Each project is different but we recommend following these tips and general process. In short, it’s about carefully planning (and making edits early on) and making sure you stay on brand and on message. If you have ads on your YouTube channel, figure out a way to not have it for your promotional video on the Play Store. Users don’t want to see an ad launched (even if skippable after 5s) instead of the video showing your app! Unlisted YouTube video or public YouTube video? As mentioned in the beginning of this guide a promo video on the Play Store is a YouTube video. This means that at one point, you upload your video on YouTube and you therefore have the option to upload it as a public or unlisted video (it can’t be private if you want people to watch it). Each view of your video on the Play Store counts as a view on YouTube. With a public video, getting additional views from Play Store visitors helps getting your video ranked higher. With an unlisted video, you know that most of the views you get on your video are from visitors of the Google Play Store which make it simpler to analyze your Youtube analytics. Especially if you’re A/B testing your video, we advise you to start with your video as unlisted. YouTube analytics allow you to get very interesting insights on your video, especially when it comes to engagement. The “Audience retention” report for example lets you see how much of your video people watch. It can help you identify any sudden “drops” so you can tweak your video accordingly. With YouTube analytics you can also know in which countries your video is watched the most, and prioritize localization. Optimizing your Play Store listing is kind of an everlasting task. But it is worth it, as it allows you to get more people to install your app. When adding an app store video for your Android app, you have two main goals: increase conversion on the product page and increase retention after the install. So how do you know if adding a promo video to your Google Play Store listing (or any other change, really) actually helps ? It is very easy to get started with Google Play Store listing experiments. However there are also a lot of misconceptions when it comes to A/B tests. There are a number of best practices to follow and pitfalls to avoid, and that’s why we’ve created for you a step-by-step guide on how to run A/B tests for Android. A promotional video for your app on the Google Play Store aims at getting you more engaged users, and to get there you want to follow the best practices we give you in this guide. You then need to find how to present your app in its best light. And we can help with both the conceptual phase and the actual app promo video production! Looking to increase conversion or acquire users?